There’s a lot going on in the next week or so for Ian McKellen fans. This Wednesday, July 15th, he’ll be taking part in a Q&A session on reddit’s “AMA” (Ask me Anything). The session runs from 1:30 p.m. to 3:30 p.m. EST, so be sure to collect your questions for him and ask them here. 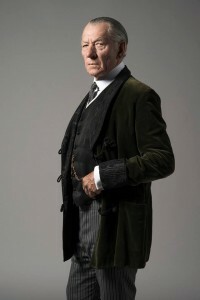 The Q&A comes two days before the opening of Sir Ian’s new movie Mr. Holmes on Friday, July 17th. Adapted from Mitch Cullin’s 2005 novel “A Slight Trick of the Mind,” Mr Holmes has Sir Ian playing a 93 year-old, retired Sherlock Holmes, trying to piece together what happened during his last unsolved case, 30 years in the past. If you live in the L.A. area, Sir Ian and fellow Mr. Holmes actor Laura Linney will be appearing in person after the 7:15 showing at The Landmark theater, Westwood Blvd. Los Angeles. Tickets can be purchased here, and you can watch the trailer at the Mr Holmes official site. With the opening of Mr Holmes, there are sure to be more interviews and appearances which we’ll bring to you as we hear about them. Here’s one with the Minneapolis Star Tribune to start them off: Ian McKellen talks ‘Mr. Holmes,’ Gandalf, Guthrie and gay marriage.